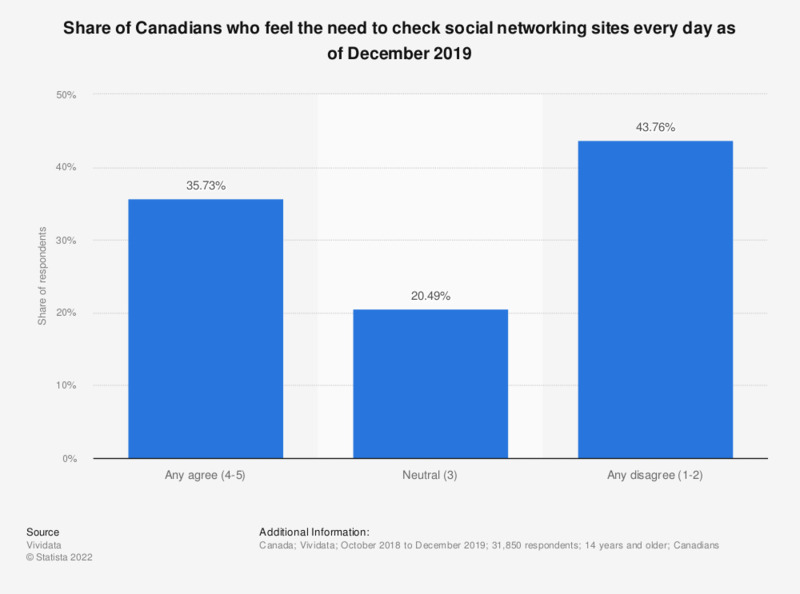 This statistic shows the responses to a study about social network usage in Canada as of January 2015. In 2015, Facebook held a 59 percent penetration rate. During the same period, Twitter held a 30 percent penetration rate among the Canadian population. Where appropriate, the data has been statistically weighted by age, region, and other variables to ensure that the sample reflects the actual population according to the latest Census data. No 2012 data available on Instagram. To what extent do you agree or disagree with the following statement: "I feel that companies take complaints more seriously if they’re posted on social media websites than if made directly to them"